Frozen Crab Meat that we offer is processed under hygienic conditions to ensure supreme quality and purity. Our Crab Meat is free from any kind of impurities. We make available Crab Meat in different varieties such as Lump, colossal, cocktail fingers and many more. We provide Frozen Crab Meat in both small and bulk quantities. 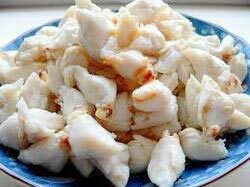 Our Frozen Crab Meat is available at reasonable price.